I am interested in understanding options for a family member - wat course/college will be best for a career in biotech? RE: What are the options in biotechnology after 12th? Biotechnology is a research oriented field with applications in various areas such as medicine, pharmaceuticals,agriculture and environment. Various researchorganizations in the areas of bioscience and biotechnology under CSIR ( Council for Scientific and Industrial Research), ICAR ( Indian Council for Agricultural Research) and other such research organizations. Product process control operations in companies involved in bioprocess technology, agriculture industry and other related fields. Sales & Marketing in any of the companies involved in the fields of pharmaceuticals, bioprocess technology, agriculture,food processing and other related fields. Thank you for approaching counsellors at CareerGuide.com. I appreciate your step to talk to us for your family member. First of all i would advice you to talk to your family member to know if he/she really likes studying biotechnology. Because as a counsellor or even as a parent i always feel that every child should explore their interest and analyse themselves what they like or what will suit them. I will advice on careers for Biotechnology and the possible routes but before that please go on this mera career website and ask your family member to take the psychometric assessment that is available. Taking the test, they will understand tehir personality and will also know what sort of careers will suit them. 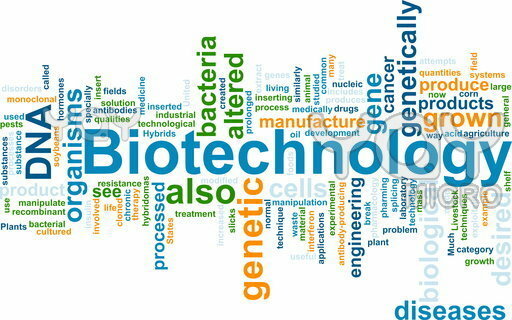 Moreover they can understand if they truly want to study Biotechnology degree. As you have not mentioned on any details on your family members current education status, i will give you a detailed picture. If the person has chosen Physics, chemistry and Biology at 12th level, she can only opt for three year bachelors degree like the BSc Biotechnology/ BSc Industrial biotechnology or BSc Medical biotechnology. If she has studied maths, phsyics, chemistry and biology at 12th level, she is definitely eligible to study engineering (maths is the eligibility subject for studying engineering) and therefore she can choose to study a four year BENG/ BTech Biotechnology/ Industrial Biotechnology/ Environmental Biotechnology/ Medical biotechnology. If they aspire for studying a BTech Biotechnology then these colleges are considered as top rank. Also if the focus is studying at any of the IIT institutes, then they need to write and get a high rank in IIT JEE exam. If they focus on private college like BITS then tehy need to write BITS entrance exam. If you require further info please contact us. Career COUNSELLORS For - What are the options in biotechnology after 12th? Psychological counsellor, life skill trainer as well as CNE certificate holder and Industrial biotechnologist. Choosing a right career is very important. A cautious decision taken after 10th class/ 12th class / Graduation and after B.Tech. has a long impact on your life. As education is expensive and requires lot of efforts to be successful, there is a need of a career counsellor/guide. I guide the students for career options suitable for them on an individual basis after their 10th Or 12th Or Graduation. I also guide them over their fitment for Arts, Commerce and Science Stream. With realistic approach, I have saved the money of lots of parents and most valuable time of more than 500+ students by showing them the right direction. For becoming biological scientist what stream to choose after 10th standard? How is the typical day of a Bio-Technologist like? What are top 10 colleges for Biotechnology in the world?